Jennifer Garbowicz is a Principal at Sabal Trust Company. She works as a portfolio manager with experience managing equities and fixed-income assets for high-net-worth individuals, trusts, and charitable organizations. After more than a decade in the healthcare sector, she transitioned to finance in 2005. 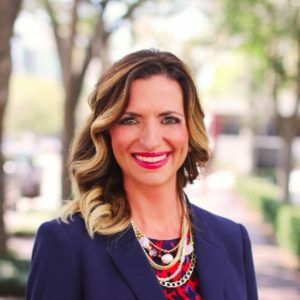 Jennifer’s academic background includes a Bachelor of Arts degree in management from Eckerd College and an MBA with a Finance Concentration from the University of Tampa. She holds the Chartered Financial Analyst designation and the Certificate in Investment Performance Measurement designation, is a member of the CFA Institute, and a graduate of the ABA National Trust School. Jennifer is passionate about her community and has been involved with many non-profit organizations. She served on the Board of Trustees of St. Anthony’s Hospital Foundation and American Stage Theatre Company. Jennifer is Past President of the Board of Directors of CFA Society Tampa Bay, and last year was elected by her peers through the CFA Institute as the Presidents Council Representative for the Southeastern U.S. Region. In her leisure time, Jennifer enjoys traveling, running, and experiencing Tampa Bay, Florida’s diverse cultural activities with her husband, two young children, and two dogs.